In the genre of concert films, This Is It is an anomaly. Most others document a particular live performance or composite performances from a tour. Michael Jackson doesn’t sing or dance or do anything in this film in front of a live audience. Yet to watch him rehearse for what was to have been a scheduled 50-night residency at London’s O2 Arena is to appreciate—however vicariously—every detail and note of what could have been an extraordinary concert experience. As someone who’d long prided himself not just on delivering an enjoyable performance but in creating an elaborate, exhilarating spectacle, Jackson understood that this production—his first such performances in over a decade—would have to be epic. He knew his singular reputation as a live performer was on the line. Yet the music legend comes across as if what he’s doing—choreographing steps for his backup dancers, directing (and correcting when necessary) his band through each song on the setlist, fine-tuning every conceivable visual and lighting cue—is all but routine. He’s the coolest cat in the room. Time and again he’s seen calmly instructing his band or choreographing steps to a particular song only in the next moment to become so enlivened by his own music that he begins dancing and jumping around like he’s stomping out an inferno beneath his feet. 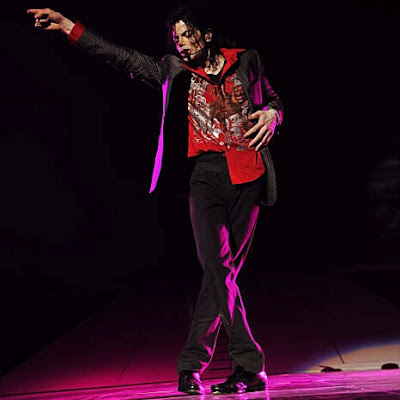 In fact much of what makes This is It so compelling is how unforced, unaffected, and in the moment Jackson appears throughout, whether he’s singing a gorgeous refrain to “Human Nature” or giving in to a spontaneous, full-on workout of “Billie Jean” to the jaw-dropping astonishment of his star-struck dance troupe. The man worked harder than most to make what he did on the stage look seamless if not effortless, and certainly he possessed the talent to pull it off when it mattered. What’s evident here, though, is that he could deliver even when it didn’t. Of course no one will ever be able to say whether the O2 engagement would have lived up to the hype that had surrounded it before Jackson's tragic death. However, if all you knew about his final days was the footage of him in this film, you’d have to believe it would’ve been an incredible comeback.